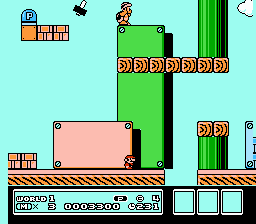 Hearing a call of distress from Princess Toadstool through the pipes leading from the Mario Brosâ€™ Plumbing Shop to the Mushroom Kingdom, Mario and Luigi leaps into action, heading through the pipes and straight towards the Mushroom Kingdom Palace. Upon arriving, they found the place a complete wreck (Once again). Recognizing King Bowser Koopaâ€™s handiwork, the Brothers knew what they had to do. The trail of destruction led to an area that the Brotherâ€™s hadnâ€™t visited in ten years or moreâ€“The Grasslands. 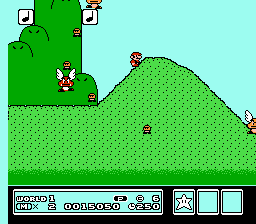 Just as they had all those years before in their third adventure, Mario and Luigi set out to cross the eight worlds, heading for Bowserâ€™s Castle to rescue the Princess. However, a lot can change in ten years, and a lot has. Though many things were the same or quite similar to what the Brothers remembered, many others were quite changed. 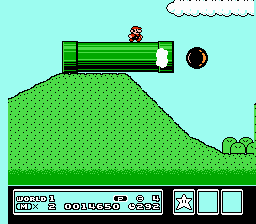 Koopa has had ten years to beef up every area between the Mario Brothers and his Castle, and he has used the opportunity well. 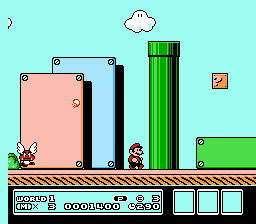 The Mario Brothers are in for their toughest challenge ever.